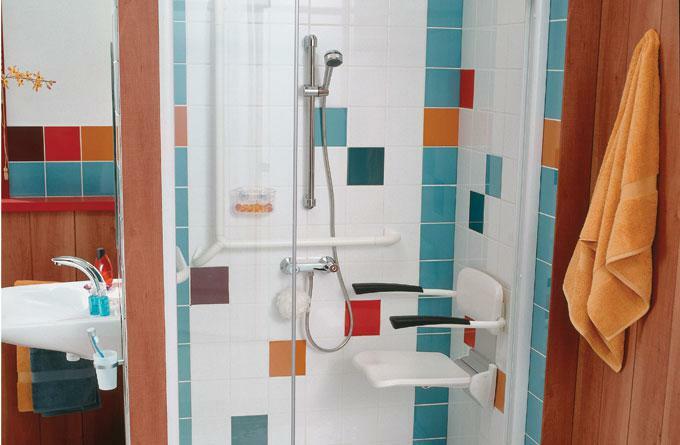 Having a disabled shower cubicle installed can turn showering from a trial into a pleasure. 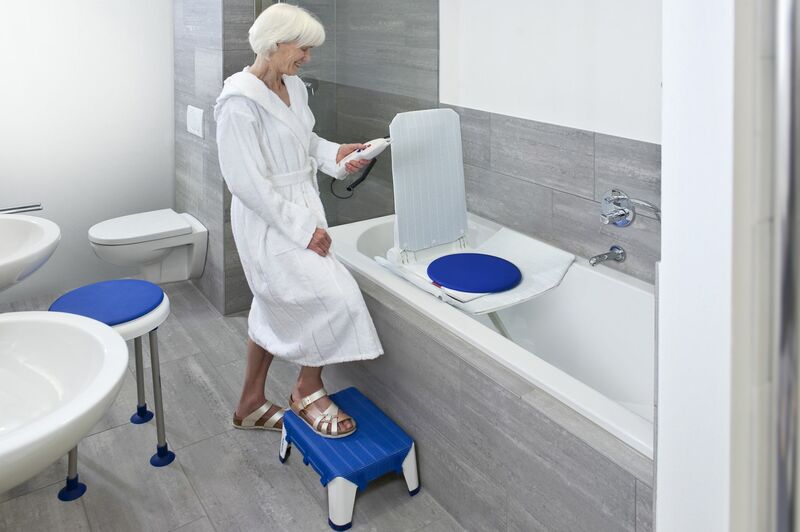 As well as being more comfortable to use, and offering safety for the disabled or elderly user, they can also make it quicker to take a shower, letting the user get on with their day. Over-bath showers are already a feature of many bathrooms and, where users still have at least a moderate degree of mobility, over-bath showers can often be adapted into disabled shower cubicles. The biggest challenge with over-bath showers is, of course, the step into the bath itself – many people struggle to climb over the side of the bath and get back out again afterwards. This transition can be eased by the use of shower boards or swivel seats. Shower boards are different to bath boards in that they are wider and are intended to be sat on themselves, whereas bath boards are really meant to assist in the transfer to a bath seat. When using shower boards, it is very important to have appropriately placed grab rails. These are vital for safety, so they can be grasped in a fall, as well as being invaluable for assisting somebody getting in and out of the bath or shower. Swivel seats come with integrated supports. It is advisable to use shower curtains rather than a shower screen when using either of these devices, since a curtain is easier to move into place and out of the way. 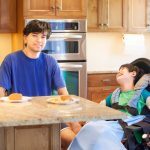 Both shower boards and swivel seats can be moved when not needed, so this option can be a good choice for when bathrooms are used by people with varying degrees of limited mobility. Stand-alone shower cubicles eliminate the need to get over the high edge of a bath. Having said that, the majority of shower cubicles sold in standard retail outlets have a lipped edge, which still creates a barrier and this may pose difficulties for those with more restricted mobility, particularly wheelchair users. Strategically placed grab rails can help to make it easier to get in and out of the shower and also provide support during showering. When looking at installing or adapting a shower cubicle for disabled users, it is also important to make the right choice of door. Most shower cubicles use either single, full length doors or they use shower curtains. Disabled users may find it much more convenient to use double doors or folding doors because of the extra space they offer. 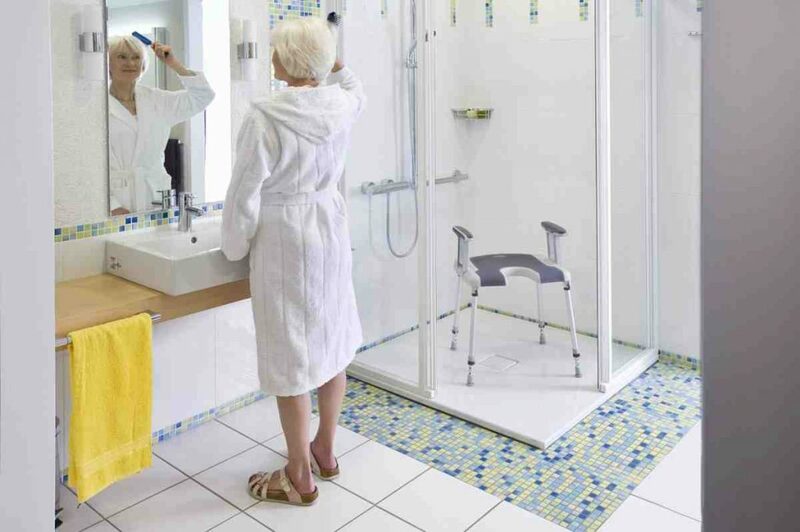 Using a combination of half-height doors and a shower curtain would allow the user to have privacy, but make it possible for a carer to assist them, if necessary, without having to open the main shower door and risk letting water escape. Wet rooms are a brilliant solution because they are essentially showers without an enclosing cubicle. The base is formed either by using a shower tray or by sloping the floor and covering it with a waterproof material which is also safe underfoot (or under wheel). There are no lips or ramps to climb, everything is more or less level, and the water drains away safely. Having said that, there are potential difficulties with wet rooms; they can be a great choice for wheelchair users due to the amount of space they offer, but this extra space can make it challenging to fit grab rails for those who wish to stand. The lack of enclosure also means that it’s very easy for carers to get soaked as well. 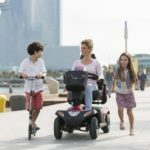 Whatever disabled shower cubicle solution you choose, make sure it is one that suits your needs right now and is also likely to suit your needs in the future. While it is impossible to predict exactly what you will need in five years from now, don’t do a lot of renovations now that are unlikely to be suitable given the progression of your condition, or simply your age.